Digicel and BTC have launched the 2016 edition of their female staff training program, Women in Leadership Learning Power [WILL Power], which upskills female employees for leadership roles across the organisation. WILL Power is delivered in three phases; a leadership development workshop, executive coaching and an internal mentoring program. The leadership workshop delivers learnings through simulations, tactics to strengthen leadership skills and build personal confidence while the executive coaching element helps with career planning. The mentoring program matches participants with senior leaders within the business to help them better understand the skills required at the top level of an organisation. Launched in 2015, the WILL Power program has received resounding positive feedback from the participants who have been empowered to turn their learnings into action. 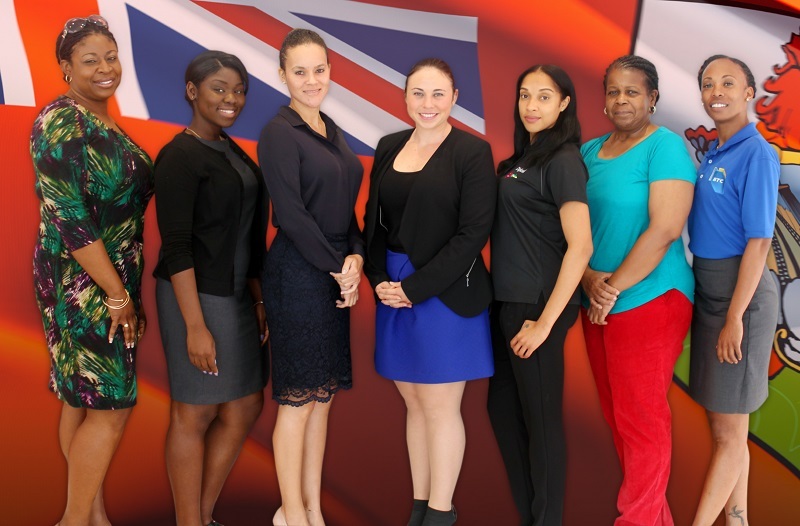 Digicel and BTC employees currently enrolled include Valencia Holder [Financial Accountant], Raynesha Lawrence [Retail Supervisor], Lea Wolffe [Business Development & Wholesale Manager], Kimberley Joslyn [Assistant Financial Controller], Anna-Kristine Franklin [Corporate Care Consultant] and Jean-Ann Dill [AVP of IT]. I hope this means that we’ll see more locals (in general) in Executive level roles within Digicel. From what I can see, all but their Customer Care Director are Irish. And it seems like with the purchase of BTC, they’ve put Irish in place of suitable locals for Executive level roles. It’s bad enough that Digicel ships all its profit out of Bermuda to send to Jamaica and other countries to more deeply invest in infrastructure. They should at least have more local senior leadership. Congratulations on what looks a great program. As an executive coach of many female CEOs, the challenge for women is to stay the distance against entrenched male bias. For women the leadership element of senior executive position is less of a challenge. So please incorporate some resilience against that bias in your programs. I would love to hear more about your challenges.